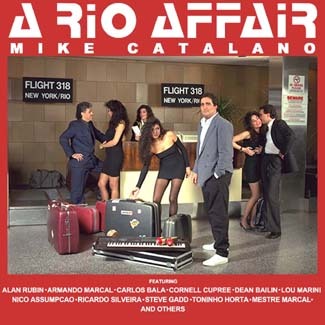 FEATURING THE NEW SINGLE "Take me Back to Rio"
"A Manhattan Affair" is the New CD from Pianist Composer Mike Catalano in New York, his prior success include theme music for Fox Tv's A Current Affair with Maury Povich, Good Day New York and many other Fox shows, plus his first record in 1989 "A Rio Affair", released in Brazil and Japan. *Special Guest appearance by Bob James on Rhodes duet with Mike's acoustic piano on Disney's Beauty and the Beast and "Moonlight in Baja"
*16 page CD booklet w/Liner notes by New York Post Journalist Steve Dunleavy! 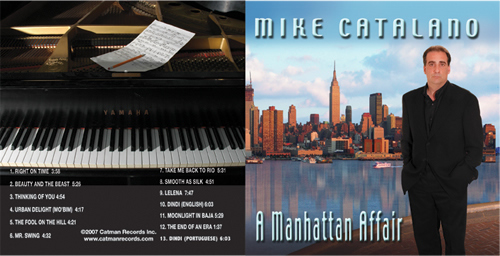 BUY MANHATTAN AFFAIR, ON AMAZON, ITUNES, PAYPAL OR CDBABY BELOW ! !